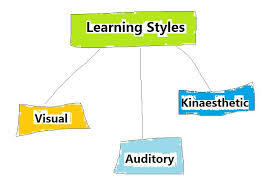 There is a common theme in the educational and training world that people who are trained have to be compared against each other and standards set by professionals and experts. This is fine for the majority of people who go through school and further education, following curriculums and chasing qualifications and certificates, fitting in with societal expectations, and gaining employment, self-satisfaction, and feelings of usefulness. But what about the increasing minority of people who did not achieve academic results at school. From our growing experience this group often have the same potential to achieve, but need to gain their knowledge in different ways. Individuals have complex reasons for not doing well at school: Dislike for classroom environments; Teacher/Trainer style of delivery; upset at home; low confidence; low expectations (often driven by other peoples expectations); and numerous social problems like poverty, crime and anti-social behaviour. Educators and Trainers are generally good at what they do, but their focus – as a requirement of their job – is to achieve the best results possible, and in this process some people are being overlooked. Siawns Teg is a well-established charity that works to give people a fair chance to join in with learning, work and social interaction. We have over 10 years of experience, working with individuals at their speed to get them to where they want to be. 1. What do you think was the cause for your limited learning? This could be anything from lack of opportunity to dislike of the subject, home situation or low motivation. 2. Why do you want to learn now? Maybe you have seen a future with work, or your self-belief has improved! 3. 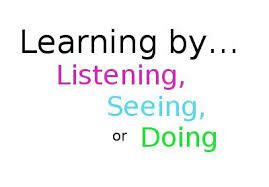 How can we together change the learning process to suit you? We will develop your plan to include (or not) home work, individual sessions, group sessions, classroom and/or outdoor activities, and we even offer training and work experience abroad! The Siawns Teg Training Programme has been developed by Trainers and Participants involved in the learning process. This means that the sessions are relevant, useful, and delivered in a style that engages with those who attend. TLC works to create stronger communities by linking life skills, employability and social skills learning to the wider world of work, community worth and international recognition of learning and potential. The range of courses reflects the needs of our local community and the people who live in it. Our Trainers focus on the participants and course equally, rather than course outcomes specifically. We motivate informal and non-formal learning towards a route to formal qualifications and employment. We are an approved formal Accreditation Centre through Agored Cymru, so for people who want to progress to a formal qualification, we can oblige! We specialise in engagement techniques. That is how to motivate Trainers to recognise their audience more holistically, and how to engage in training for people who find it difficult to start the process. Specific training for Trainers is inclusive and full of fun. We often help Trainees to find work. Sometimes we are supported by small private businesses who do not have the resources or experience to take on a member of staff, and so we provide training and support for the businesses too. A favourite is our Customer Care course, designed to help staff realise the needs and variety of mechanisms to support your marketing and customer relations agenda. We can organise statutory training and deliver it either at our training rooms in Newtown, or at your business.